Purchase College School of the Arts holds its 2ND School of the Arts Gala on Monday, March 15th at the Millennium Broadway Hotel/ The Hudson Theatre to honor Kiki Smith, Paul Taylor, Lynn Nottage and Paquito D'Rivera with the Nelson A. Rockefeller Awards for their contributions to the visual and performing arts. Purchase Conservatory students will present performances as tributes to the honorees. To present the 2nd Nelson A. Rockefeller Awards for outstanding contributions to the visual and performing arts. Paquito D'Rivera. Curb Your Enthusiasm's Susie Essman will be the evening's Master of Ceremonies. in television and films. She has played the sassy Susie Greene for all seven seasons of the critically acclaimed HBO comedy series, Curb Your Enthusiasm. however, she creates pieces in a variety of media. Paul Taylor Dance Company in 1954. He has collaborated with painters Robert Rauschenberg, Jasper Johns, and Alex Katz. 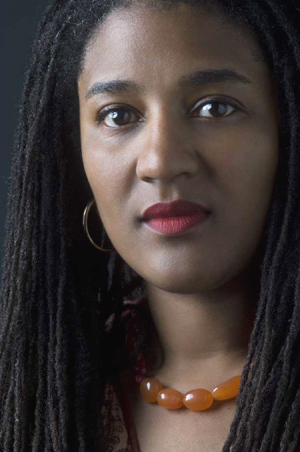 Lynn Nottage- Lynn is an American playwright whose work often deals with the lives of African Americans and women. In 2009 she won the Pulitzer Prize for Drama for the critically acclaimed play, Ruined. Paquito D'Rivera - Paquito is a Cuban-born clarinetist and saxophonist who is celebrated both for his artistry in Latin jazz and his achievements as a classical composer. He has won nine Grammy Awards and has recorded more than 30 solo albums. Patron tickets are $1,000. Individual tickets are $500. The School of the Arts Endowment Fund supports scholarships for students in the visual arts, music, theatre arts and film, and dance and student exhibitions and fully-staged student productions of the Purchase Opera, Purchase Orchestra, Purchase Dance Corps and Purchase Repertory Theatre. Purchase College State University of New York, a major institution of higher education encompasses the liberal arts, professional training in the performing and visual arts, and liberal studies and continuing education, the Neuberger Museum of Art and The Performing Arts Center.